‘I had another problem. I didn’t want anybody to do anything for me. 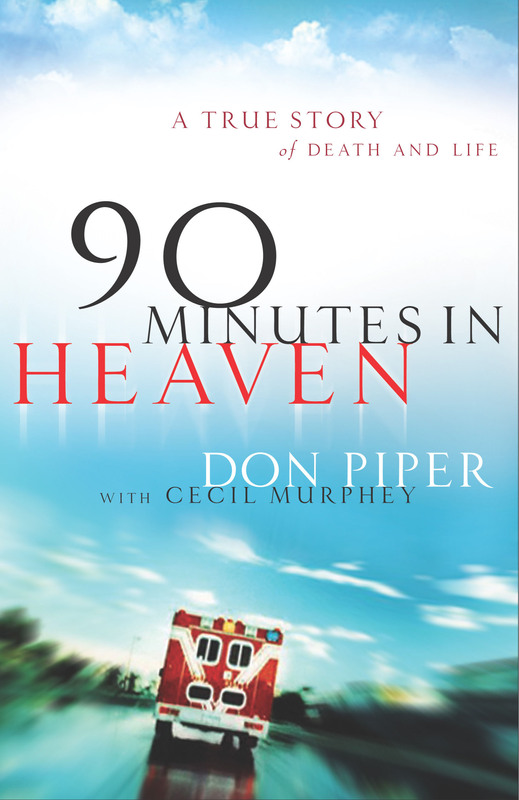 That is my nature.’ This was the confession of a minister named Don Piper whose story is told in the best selling book ’90 Minutes in Heaven.’ Don Piper died in a car accident. The paramedics at the scene of the accident found no pulse and declared him dead and covered him with a tarp while they attended to the injuries of others. In his book, he tells how he went straight to heaven for 90 minutes until a Baptist preacher friend came on the accident scene. Even though he knew John was dead, he rushed to the lifeless body and prayed for him. Despite the scoffing of the EMT’s, he refused to stop praying. God answered that man’s prayer and Don returned to earth. You can read the whole story in his fascinating book. However, what I want to share is just one experience he had while he was recovering in hospital, which by the way was long and extremely painful. The problem . . . ‘He didn’t want anybody to do anything for him.’ The problem was in his nature but it surfaced during his time in hospital where He wouldn’t let anybody do anything for him to meet his needs. Jay went on to challenge him to do something practical about it stating, ‘The next time anyone comes in here and offers to do something . . . anything, no matter what it is . . . I want you to say yes. Initially, he found it very hard to do. A few days later, Thomas, a church member, popped into his room and spent about five minutes. As he stood up to leave, he said, ‘Is there anything I can do for you before I go?’ Don was about to say the words, ‘No thank you,’ when he remembered Jay’s words. So instead, he said, ‘Well, I wish I had a magazine to read.’ ‘You do? Really?’ Thomas said, with the biggest grin on his face. He dashed out the door, went down twenty one floors and returned with an armload of magazines. It is amazing and wonderful, and even attitude changing, when you see yourself in another person’s story. When I read Don Piper’s story about his problem, I saw myself. This year I went to hospital for an operation for an obstruction in my colon. I spent a week in hospital and 5 days in a rehab facility. When I came home, I needed more time to fully recover. During that period, people, mostly from our church, were magnificent, Our daughter Joy set up a care calendar online and people signed up to help us. Dorothy needed help as she was still recovering from PMR and other physical challenges. They walked our dog Benji, mowed the lawns, did shopping, gardening, and other odd jobs. All of it bathed with prayer. But then, when I got somewhat better, I figured it was time to start doing the jobs that I normally did, including the weekly shopping. A long time friend Brenda, who was part of our church, had taken over this responsibility as for some time Dorothy had not been able to do it. ‘When I get better,’ I thought ‘I should take it back over.’ But Brenda loved shopping and wanted to continue to do it for us. If you have ever studied the motivational gifts of Romans 12, then you will have read about the motivational gift of facilitating or leadership aid. That’s me. One of the characteristics of a facilitator is that they never want to be a burden to other people. In fact, they often want to make things ‘easy’ for others. That’s me. I never wanted to be a burden for others and hence never easily accepted offers of help and assistance. As a result, I had wanted to resume doing the shopping once again and I was being a bit stubborn about doing so. Then Dorothy pointed out to me that Brenda loved shopping and helping us in this way; that it was her way of showing love to us. It was at this time that I was reading Don Pipers story and as I did, I suddenly realized I was doing what he had done in not letting others help us. I read Don Piper’s words, ‘You’re cheating them out of the opportunity of expressing their love to you’ and I realized Dorothy was right. So what am I now doing? I am not just letting Brenda do it, I am grateful to her for doing it. I am accepting this gift of love with an ever increasing appreciation and gratitude for her kindness. It has, in turn, been a tremendous blessing to both Dorothy and myself. Are you holding people back from expressing their love to you? We tend to underplay it, even in our response to people’s kindness saying, ‘Oh, you shouldn’t have done that’ or ‘It was not necessary.’ ‘You shouldn’t have spent that on me.’ No! Let people love you and receive it with gratitude.